A behemoth of a central midfielder who can also operate in defence, Higgins joined the club midway through the 2016/17 season. He made his debut with a commanding performance for the seconds in a win at Ratoath Harps, and soon became a key player for the firsts, notably unleashing long-range shots with either foot, and scoring his first Seaford goal with a stunning volley against Hartstown Huntstown. 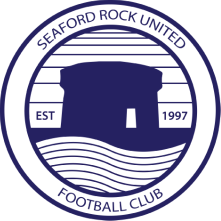 Notably, it was more than a year into Dave's Seaford career before he eventually found himself on a losing team, an unbeaten streak of 15 matches.